Home>News of Mechanical Products > Car Vending Machine in China? Car Vending Machine in China? The first car vending machine saw the light in late 2015. 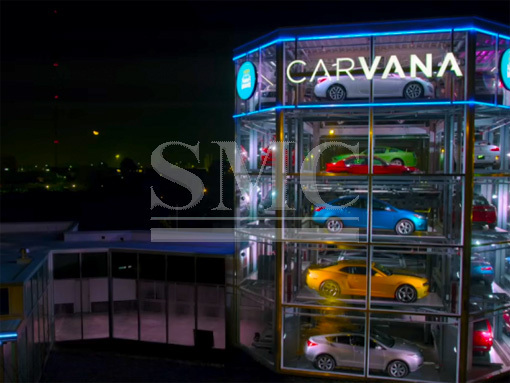 Another car vending machine was opened in Singapore in May this year by secondhand car dealer Autobahn Motors; the 15-floor tower can hold 60 luxury cars and is the tallest of its kind. Now Alibaba is planning to introduce "automotive vending machines" for even more people later this year. It seems the idea of having vehicles on store shelves will engage companies more and more to launch such machines. The video released by the company showed a customer buying a car from such a machine using a mobile application. Yu Wei, General Manager of the automotive division of Tmall, Alibaba's e-commerce website, said the mobile app would make buying cars as easy as buying a can of Coke. To buy a car from the machine one should have over 750 credits (score) on Sesame Credit, Alibaba's consumer credit-scoring system; then go to a "vending machine" location, select a model on his or her mobile phone, pay a 10 percent initial fee and drive away with the new car. Later, the customer needs to make a monthly payment via Alipay until full payment is completed. However, the legal procedure to buy a car with valid plates from the “vending machine” has not been voted and some people worry about the negative impact on labor markets in the future. On the other hand, some think this is the best as there are no salespeople that will follow them and babble.